Innovative design with striking style. 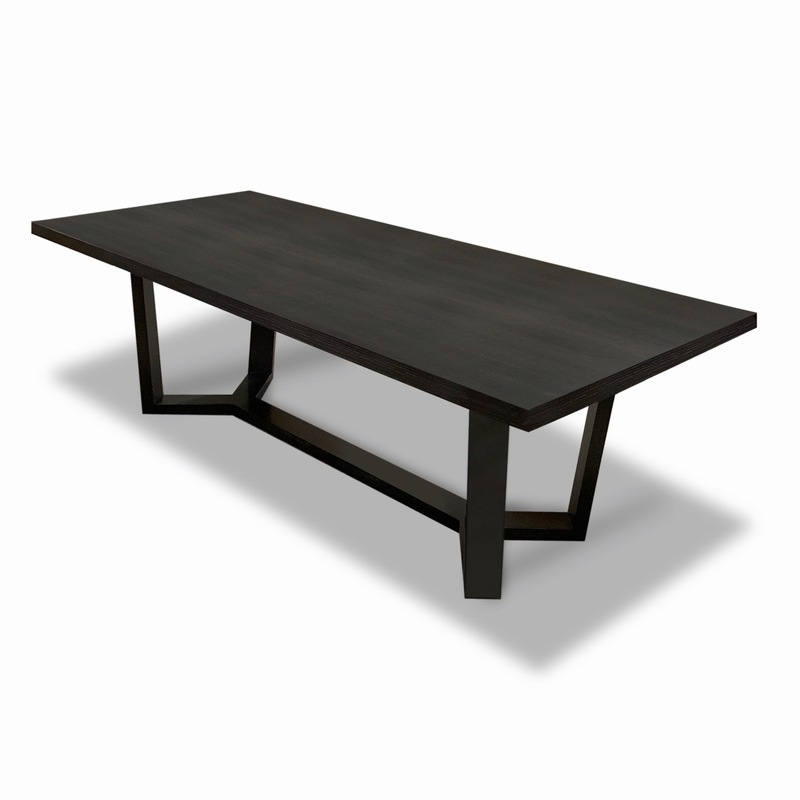 Expansive and sturdy, our Angelo Dining Table makes a bold statement in any dining room. This version is rectangular and crafted from hand-selected, premium rift-cut white oak and finished in Espresso with a semi-gloss sheen. At 96", this table seats eight people comfortably and optional leaves offer more versatility. 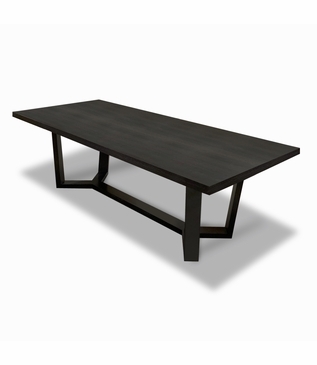 As with all pieces from our Custom Furniture Collection, this handsome dining table is made-to-order in Los Angeles and can be infinitely customized. Choose your own dimensions, wood type, and finish. For pricing, please call, e-mail, or submit an online quote request. Dimensions: W: 96" • D: 42" • H: 30"